Sydney born Christy Sullivan graduated from WAAPA in 2009 and since then has been building a steady career on the Australian Stage. Her credits include Spring Awakening (Sydney Theatre Company), Phoebe/Le Beau in As You Like It (The Shakespeare Centre), Natalie in Next to Normal (Melbourne Theatre Company), Hope Harcourt in Anything Goes (The Production Company), as Mollie Ralston in the Australia & New Zealand hit Tour of Agatha Christie’s The Mousetrap (Louise Withers and Associates), Leona in Atomic The Musical, (Dreamingful Productions). 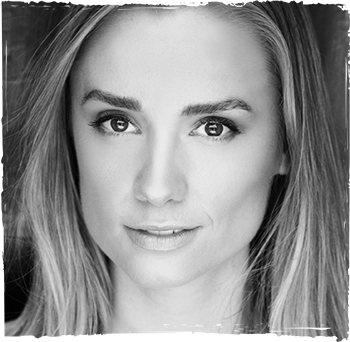 Christy also appeared in workshops for Atomic The Musical in Sydney and New York; directed by Damien Gray, as Sandra Dee in Dreamlover; directed by Simon Phillips and as Florrie/Lisette in The Good Fight directed by Rachel Moorehead. Christy will make her feature film debut in Under The Bridge, directed by Martin Park for Interlude Pictures and on the small screen she has appeared in Network Seven’s award winning drama Packed to the Rafters and the medical drama All Saints. Christy will soon be appearing in the Australian premiere of Sondheim on Sondheim (Squabbalogic) and with an all star cast in Beyond Desire(Neil Rutherford Productions) at the Hayes Theatre.